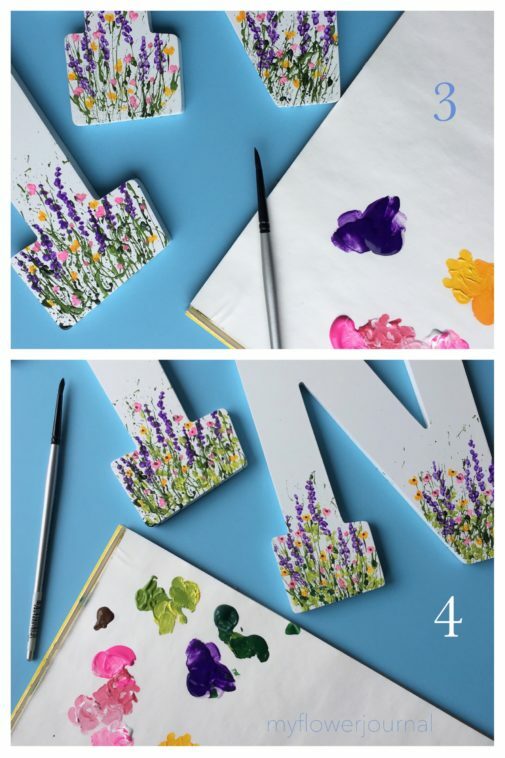 There are so many ways you can use splattered paint flower art. 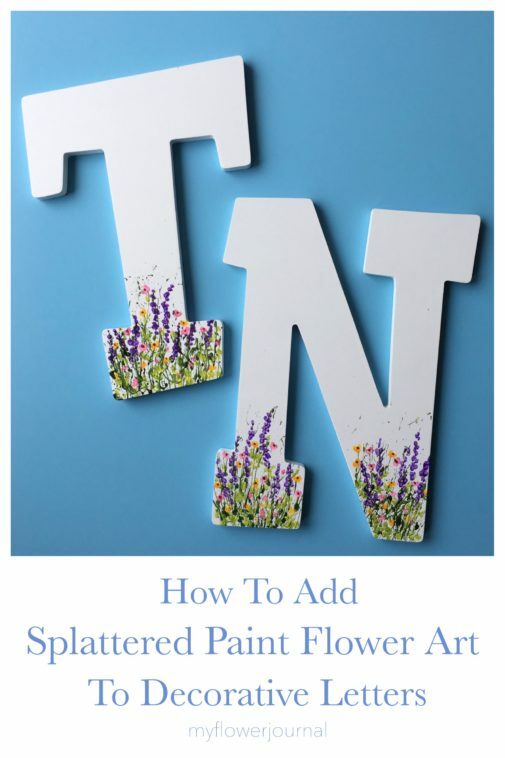 This photo tutorial shows how you can splatter acrylic paint on decorative letters and turn it into flower art. Paper palette or paper plate to put paint on. 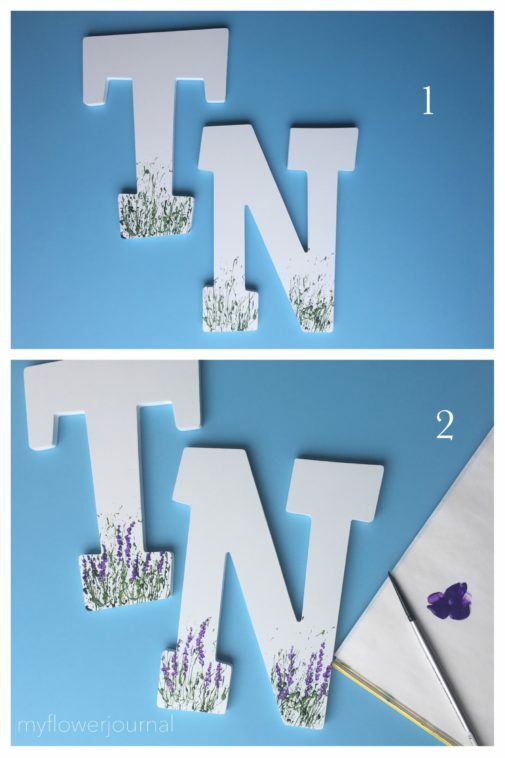 Lay your decorative letter on a protected surface and cover the top part of it with paper towel. (You can see my tips for set up and easy clean up here.) Splatter the bottom area with green acrylic paint. I have the most success with my splatter painting using the brush and fluid acrylic paint listed above. You can see a short video of how I splatter my paint here. 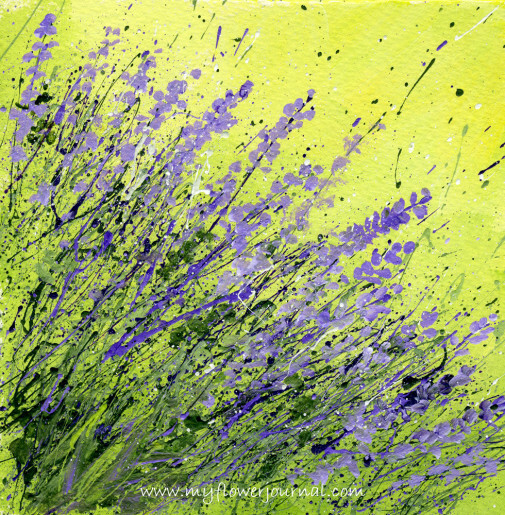 Dab purple paint on some of the long splatters to look like delphiniums or larkspur. Keep your dabs light with white space in between. Next add some dabs of yellow and pink to look like small flowers. Mix a little white in and use a mix of lighter and darker pink and yellow to give the flowers dimension. This is an impressionistic style of painting. 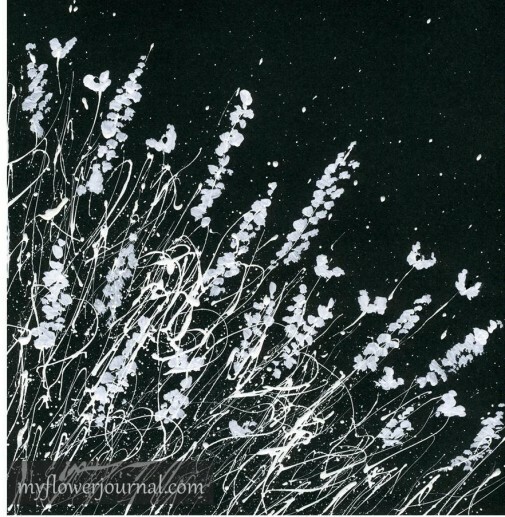 You are just giving the impression of flowers, not trying to make them look photo real. 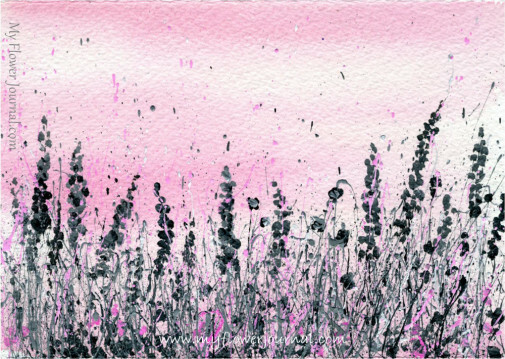 Use dark brown acrylic paint to add centers to the little pink and yellow flowers. Add some yellow green for some brighter leaves. You may want to add more greens at the bottom so your design looks grounded and doesn’t float. Look to see if it looks balanced. If not add more flowers or green leaves. Don’t fill it in too solid-leave some white space. Here are some other color combinations you could try. I’ll be sharing this on Savvy Southern Style.